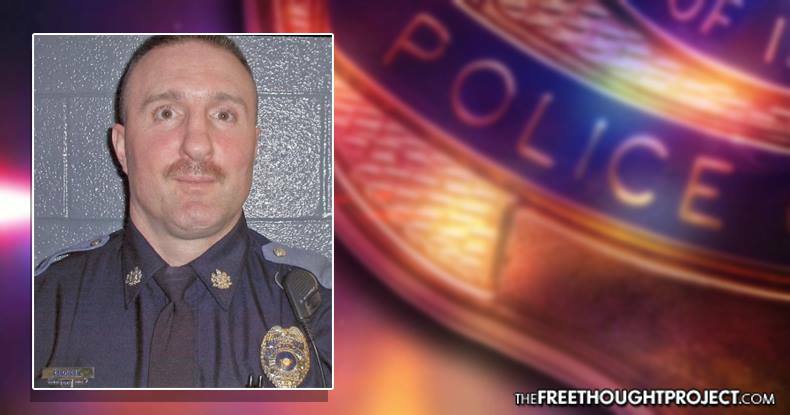 York County, PA – Blue Privilege is rearing its head again in the case of a homeless man struck and killed when an on-duty cop unnecessarily sped through a 35 mph zone on a rainy night. For a normal citizen, this would likely bring a charge of involuntary manslaughter or vehicular homicide. But for Officer Scott George, it means nothing more than a speeding ticket. York Daily Record reports that George was doing 13 miles over the speed limit, in dark, rainy conditions that would normally call for reducing one’s speed. He was on a non-emergency call to investigate a retail theft, when he struck 74-year-old Raymond Updegraff, a homeless man known as “Rayme” around the area. A state police investigation concluded that Officer George’s actions only violated traffic rules – not the safety of pedestrians. George promptly pleaded guilty to speeding and has since returned to duty. “Using the definition of ‘probable cause,’ one must ask the question as to whether it is ‘more likely than not’ that the act of travelling 13 miles per hour over the speed limit on a rainy night was a direct or likely cause of the death. In other words, was the death the predictable, expected, likely result of the speeding? The author (Kearney) concludes in the negative believing the requirement for causation cannot be established beyond a reasonable doubt. Had roles been reversed, it’s safe to assume the average person would easily be charged with manslaughter, vehicular homicide or worse for running over a police officer, even off-duty. The “justice” system far too often proves to be arbitrary, with one’s status being the deciding factor in handing down punishment. Blue privilege is becoming so pervasive that states, with the backing of the Trump administration intent on a “law and order” crusade, are enacting ‘Blue Lives Matter’ laws that make yelling at cops or resisting arrest hate crimes. When cops kill unarmed homeless people – who are often mentally ill – these deaths are routinely treated as “justifiable.” We have documented numerous cases of cops being let off the hook for attacks on homeless people that would be considered barbaric by any rational standard. Updegraff’s family said they have not received so much as an apology from Officer George. He declined to be interviewed by investigators if state troopers were going to read Miranda rights, and instead provided a written statement. DA Kearney characterized George’s actions as “slight negligence” and there was no reckless conduct in speeding down a dark road on a rainy night. It will be interesting to see if the same rationale is applied in future cases where the perpetrator is a non-cop.